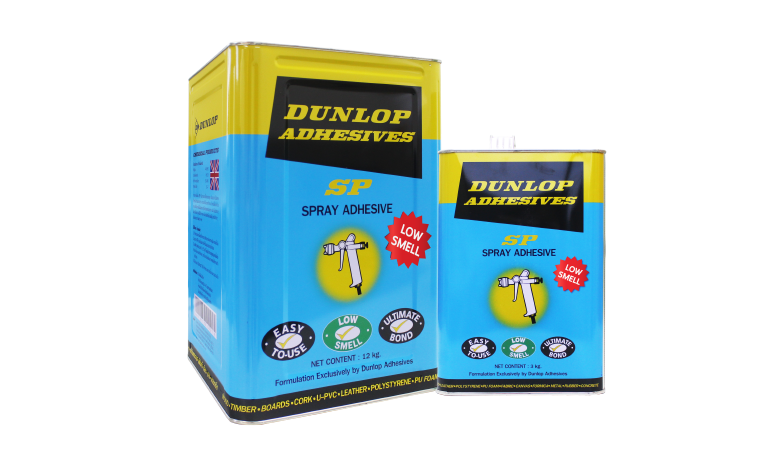 A multi-purpose low smell industrial strength spray adhesive free from CFC gases. 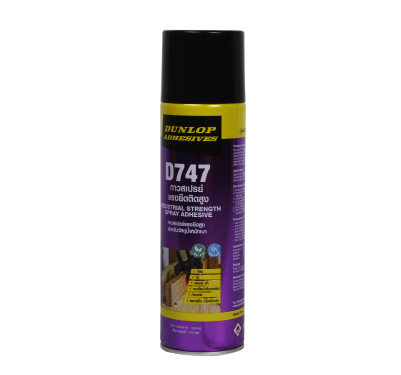 Dunlop D747 is a high strength, low smell multipurpose spray adhesive free from CFC gases. The special formulation has a low viscosity, delivering an optimum spray pattern and low initial soak for high coverage and strong, long-lasting bonds. The high initial grab and aggressive tack bonds surfaces quickly for fast, permanent results and high productivity, ideal for fast-paced work. Its finger-touch, targeted control ensures minimal over-spray, for reduced waste and clean-up. 1. Ensure surfaces are free from dust, dirt and grease. 2. 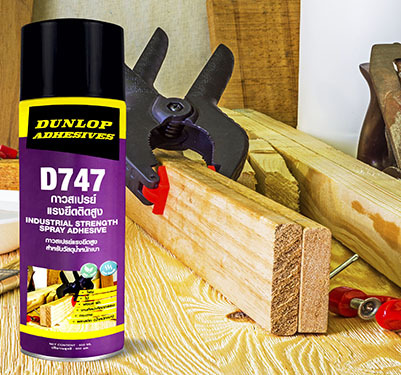 Ensure the nozzle is clean of dirt, grease and dried glue. 3. Shake the can well before spraying. 4. Spray Dunlop D747 approximately 15cm away from the area to be bonded. 5. 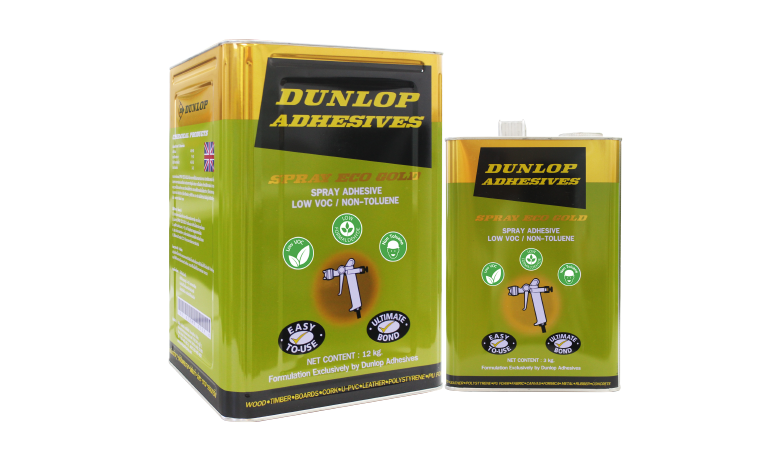 Apply adhesive to both substrates for a stronger bond. 6. Wait 10 seconds before bonding the substrates together as desired. 7. Bond the substrates firmly together. Clamp large or heavy objects for additional support until the adhesive is fully cured.